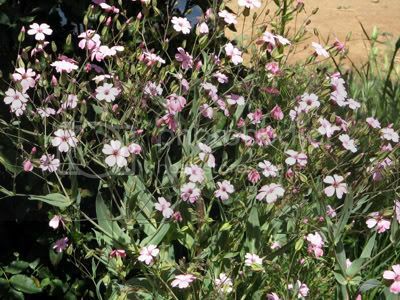 Discussion in 'Plant ID' started by dooley, May 8, 2008. These are some unknown flowers growing in my side yard. I posted the purple one earlier before it bloomed. The leaves look somewhat like cosmos but it's not cosmos as you can see from the blooms. I may have sprinkled some wildflower seeds last fall because they are in several different places. The pink ones are in the same spot as the purple ones. Now, this white one really is a wildflower because it's growing through the fence and is growing all over the place along the roads and in yards. That is the flower. When it blows away, a white fuzz is left which is the seeds. I didn't get a picture of the fuzz. Those purple ones look a lot like delphiniums, and the last one is a dandelion seed head. The one in the middle reminds me of a Gypsophila, but I'm not sure. There are so many varieties. 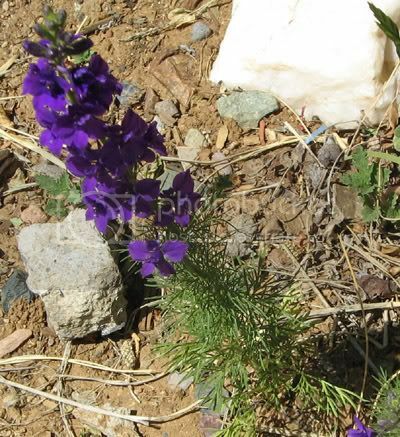 Edit: Found a link to the annual Delphinum. 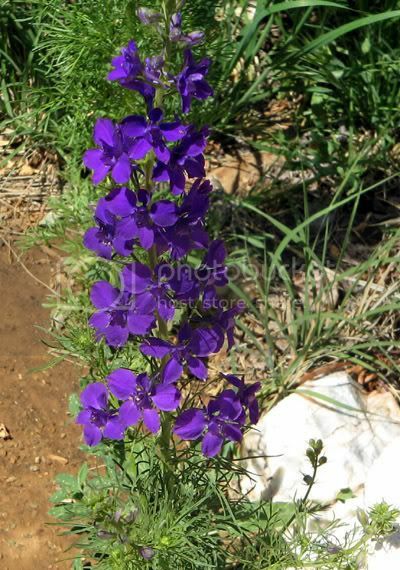 Your flower looks like Larkspur Dooley. The color of yours is beautiful. The pink ones look like Baby's Breath. What a lovely rich, vibrant colour those delphiniums are!! I think the purple one is a larkspur and I don't know about the pink one but I love it! I think the purple ones are delphiniums too Dooley don'yt know about the others.They are really pretty. 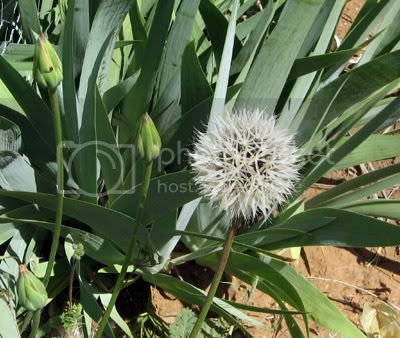 Could the white one be a member of the allium family?